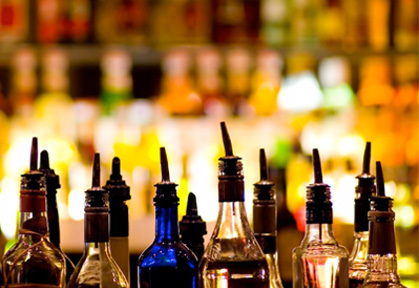 The Gin Trap welcomes private parties and special events. 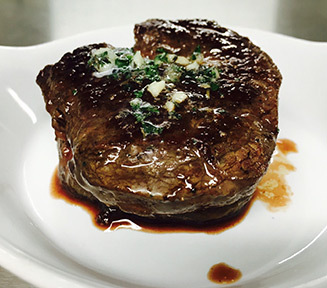 Our Chefs will create a unique menu to fit any celebration. Our appetizers work well as passed hors d’oeuvres for cocktail parties, the unique entrees offered please a large audience, and our desserts are in great demand. Plan a picnic on the beach and pick up “lunch to go”. Off premise catering is also available. 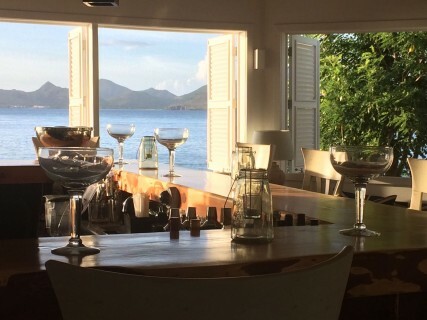 We are honoured to be associated with The Nevis Yacht Club and are able to offer a 10% discount for all members who drink and/or dine with us. 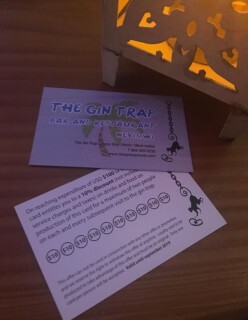 THE GIN TRAP LOYALTY REWARDS! 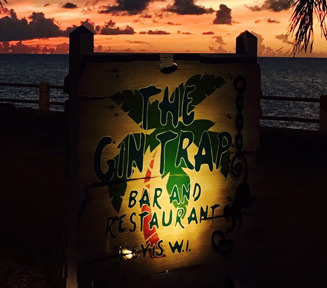 To all of our loyal guests, we are offering 10% off all food and drinks taken at The Gin Trap for each and every occasion that you visit us! For further details please contact us at info@thegintrapnevis.com or call into the restaurant. SEASON AT THE GIN TRAP!! Your favourite restaurant will be serving lunch from 12noon until 2.30pm, dinner from 5pm until 9pm and bar snacks from 12noon until 9pm Monday through Saturday. Add to that our huge selection of 101 gins, premium tonics and amazing cocktails and you are bound to have the best experience available on Nevis! 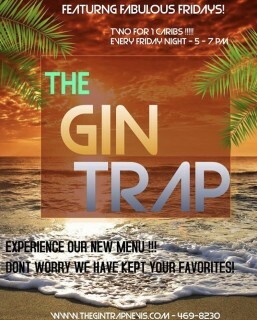 HAPPY DAYS……FABULOUS FRIDAYS AT THE GIN TRAP!! 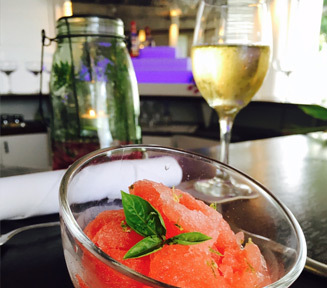 Enjoy cocktails on our fantastic Sunset deck, choose dinner from our mouth-watering menu and dance away the evening! Or just come along for drinks and a great time! 2 for 1 Caribs every Friday night – 5pm-7pm! Every day is a Gin day at The Gin Trap! Sunset cocktail events, jazz evenings, gin tasting, special occasion events and all in our newly constructed and refurbished bar and restaurant! To celebrate the opening of our new bar and washrooms we are now hosting gin tasting from our extensive gin selections. 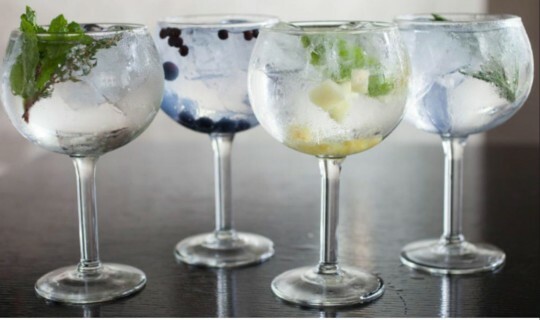 THE COPA GLASS enhances the nose enabling you to appreciate the botanicals, CRACKED ICE keeps your drink cold without over dilution, INDIVIDUALLY MATCHED GARNISH selected to complement the botanicals in the gin of your choice, FEVER TREE TONIC WATER which is the World renowned King of tonics. Look out for our new gin menu when visiting The Gin Trap covering the classic cocktails, gin-fusions, martinis, negronis and gimlets.